The major LNG projects developed by natural gas company Novatek in and around the Yamal Peninsula are increasingly seen as a source of fuel also by local authorities in the north of the country. 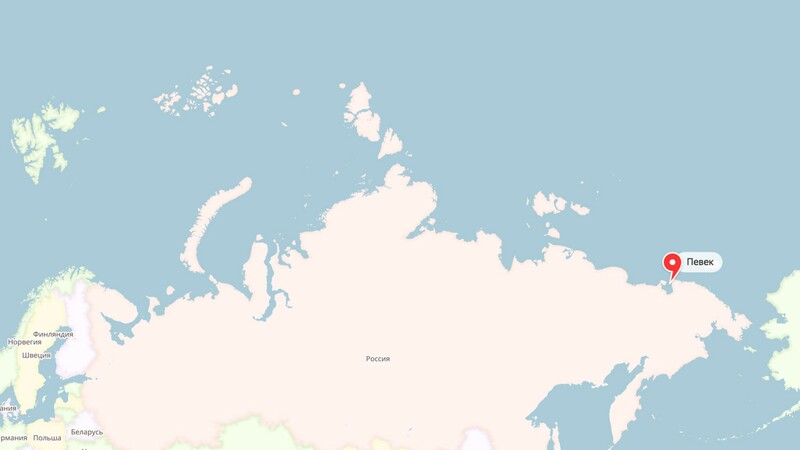 The town of Pevek is located in the Russian east Arctic. The government of the Chukotka region says that it intends to develop infrastructure in the town of Pevek for deliveries of LNG to site. The new infrastructure includes six fueling stations for vehicles, Deputy Governor Mikhail Sobolev says to TASS. Local cars and trucks will be able to fuel the liquified natural gas. That includes the vehicles that will be engaged in the Peschanka project, a major copper mining initiative. The field is believed to be one of the biggest of its kind in the world with 23 million tons of copper and 2,000 tons of gold resources. The new mine is to deliver 500,000 tons of goods to the NSR by 2024. According to regional Deputy Governor Sobolov, the use of LNG as energy source will enable the region to significantly cut its CO2 emissions. Pevek is also the town that will house Russia’s first floating nuclear power plant, the «Akademik Lomonosov». The floating installation is to be towed from Murmansk in the course of summer 2019. Also regional authorities in Arkhangelsk are preparing for the coming of LNG. However, here the liquified natural gas might be produced in the region itself. Regional Governor Igor Orlov in mid-March signed an agreement with state company Rostech on the building of a LNG plant. Up to 120,000 tons of LNG can be produced by the plant, and the energy used to replace aging facilities currently fueled by diesel, heating oil (mazut) and coal. More than 10,000 apartments and about 550 units of public transport will benefit, says Orlov. The project is estimated to coast more than 14 billion rubles (€192 million) and due to be completed by year 2024. Novatek is in the process of developing several LNG projects based on the huge resources of the Yamal Peninsula and nearby Gydan and Kara Sea. The Yamal LNG project is now reportedly operating at full capacity and delivering up to 16,5 million tons of liquified natural gas per year. A fourth project train is due to increase capacity with an addition million ton. The Arctic LNG 2 is the next project in line. A projected 19,8 million tons of LNG per year will be produced by the project. It will be based on the resources of the Utrenneye natural gas field in peninsula Gydan. The natural gas will be shipped out through ice-covered waters with a new fleet of ice-class carriers to buyers in Europe and Asia. Also an Arctic LNG 3 is under planning.